Throughout the North American brick manufacturing industry, Harrop is acknowledged as the preeminent dryer and kiln supplier. 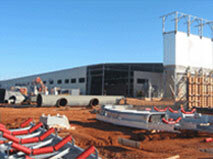 We have engineered and constructed more dryers and kilns and North America than any other company. Our obligation to supply drying and firing systems goes well beyond simply delivering your equipment. Through our comprehensive materials laboratory and our experienced engineers, Harrop learns the thermal behavior of your materials. It’s this process knowledge that ensures you get a Harrop tunnel kiln and dryer specifically designed to your raw material needs. Coupled with Harrop’s inclusion of decades-proven practical design and energy conserving technologies, you obtain a reliable dryer and kiln system that produces a high-quality product with minimum manufacturing cost in the first year of operation as well as the 20th year of operation. We also serve as the project manager to install your new kiln and dryer, being responsible for scheduling, integrated procurement, and expediting to ensure cost effectiveness and minimum project time. Harrop delivers all of the on-site support activities needed to make your new dryer or kiln ready to produce; including construction, electrical installation, commissioning, operator training, and technical documentation. Even after you “strike the match”, our technicians work with you to ensure your kiln and dryer system can operate at peak efficiency. 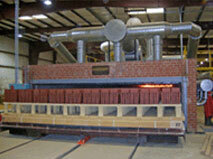 Through decades of supplying hundreds of tunnel kilns and dryers to brick manufacturers, Harrop has accumulated extensive knowledge of process flow requirements, raw material preparation, product forming, automated handling machinery, and electronic controls. Today, we are a leading design-build contractor of complete brick manufacturing plants in North America, assuming full project management responsibility and single source accountability. Our extensive access to equipment suppliers worldwide and our access to experienced sub-contractors result in our clients obtaining a new plant with the proper equipment properly installed. 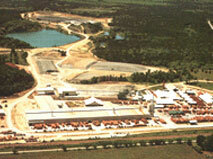 You can rely on Harrop to deliver a complete plant – on-time and on-budget – producing a high quality product.